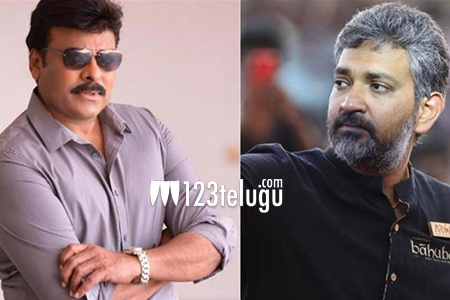 Chiru’s surprise visit to Rajamouli? Megastar Chiranjeevi on several occasions over the last few weeks, praised SS Rajamouli for placing Telugu Cinema on global map with his epic magnum opus, Baahubali The Conclusion. Chiru even watched a midnight show of Baahubali 2 along with Charan at a Hyderabad multiplex a few days ago. Now, the latest buzz is that Chiru recently paid a surprise visit to Rajamouli and his family at their residence. Chiru reportedly patted the maverick director once again and spent some quality time discussing the film in detail with Rajamouli. The Magadheera duo might have also discussed Chiru’s next film, Uyyalawada Narasimhareddy.